It is no Secret that I am a Gone For a Run HERE FAN!!! 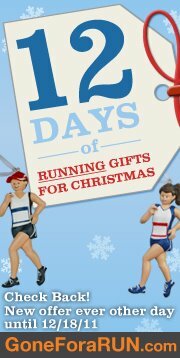 This is the meca of Running Gifts for anyone who loves Running and more... I was blessed to meet Ryan at the Boston Marathon expo last year, he is part of the family that makes up Gone For a Run. If you have never visited their website now is the perfect time...give your family and friends a link to those must-have items for Christmas.. Recently I was sent the MedalART Wall Display to review. Muscle Man hung it easily and my race medals now have a prominent place in our loft. I could not capture a great picture on my medals, below is the photo from their website. The display is sturdy and funtional, the optional bottom screw makes it so you can easily add a medal whever you want. I love the words "Gone For a Run" it is the perfect fit for how I earned my medals. 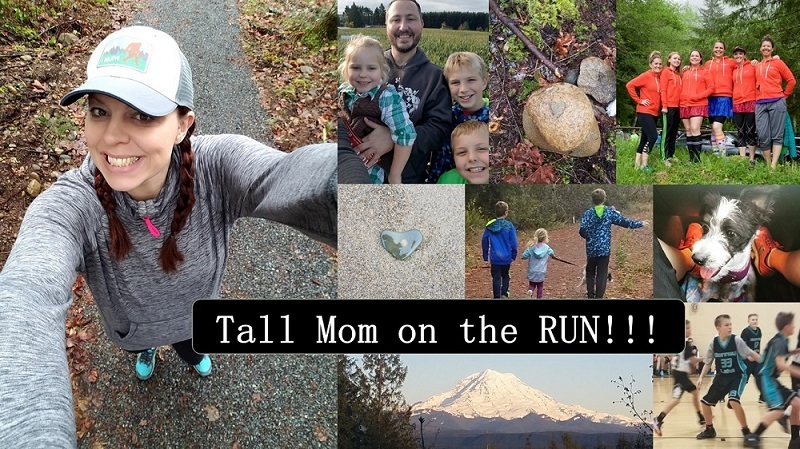 The Folks at Gone for a Run wanted to put some cheer into your thanksgiving Weekend With a Giveaway!! One Comment per Entry pretty please. REQUIRED- Like Gone For a Run on Facebook HERE. You will be glad you did because Gone For a Run will be annoucing special DEALS to Facebook Followers. Leave a Comment. 2- While you are at Gone for a Run HERE shop around. Leave a Comment with the item or items you would love to receive for Christmas. 3- Share this Giveaway via Blog, Facebook, Twitter, etc... Leave a Comment each time you share. PS. Everyone who posted a Comment on this post HERE receives an automatic Entry into this Giveaway. i'm in! i'm a fan of them and you and i really love the "i run these towns" hanger! super cute. I want the "I run these towns" one! Super cool! I also want to try on the of the ROK headbands... santa, please leave one in my stocking! Posted on the sidebar of my blog. I like the one that says, "I run these towns"
I would want a WristSTASH. I like them on FB. "I run these towns" is my favorite! Right now I only have two medals I can hang (from 1998 and 1999) lol I'm on week 7 of the couch to 5k program. I'll be running my first 5k on December 4th and then I'll be start training for my first half. Can't wait to start earning my race bling! I like gone for run on facebook! I like the run like a girl metal wall hanger. I have about 10 medals to hang! I want the LT-Personalized BibFolio for Christmas. I have them all shoved in a drawer right now! I <3 the "Future Triathlete" shirt! I'm thinking my oldest needs that shirt and my little guy needs the "see mommy run" bib...cause he's a drooler. I would choose the "Race Bling" display - really like it!! I wrote on their facebook wall! I love the Race Bling medal hanger. For Christmas I would like the Runner Girl Circle Sterling Silver necklace and the "I Run These Towns" Medal Display. I also commented on their Facebook page. I liked Gone for a Run on Facebook. I like both the "Believe" and the "Gone for a Run" display's. I have 7 Race for the Cure medals, 1 marathon, 4 half marathons and a 1st in age group 5k run. I would like a Bibfolio for Christmas - although I tossed my old bib's a few years ago - I have started keeping them again and would like something to keep them together and orderly . . . rather than simply having them set on my dresser. I like Gone for a Run on FB! Santa can also stuff my stocking with the arm LED bands, a run girl car decal, and heart 2 run bib folio! I like them on facebook - and they're the company I bought my 26.2 magnet from when I finished my first full this October! This would be a great Christmas gift for my runner daughter...I'm in. I like the 'Believe' hanger. I like the run these towns display. I'd like the bead jewelry for Christmas :-) 13.1 for me! I would pick the Believe medal hanger and I have 4 medals right now! I think I would want the Race Bling hanger! I do not have any medals yet, but I get my first one next Saturday when I run St. Jude Half! For Christmas I would like a bibfolio, the shoe string charms are cute, and the glass ornaments. I like Gone for a run on FB & told them you sent me! I'd love the Believe rack! Perfect for my budding collection. If I win, I like the "Pride is Forever" one. So pretty. Christmas wishes include 13.1 necklaces. My favorite it the Believe rack. It fits me perfectly. I believed I could do it and I did. I have about 15 medals. I posted this on my new FB page, Living the Dream! I like the regular "Gone For A Run" hanger! If I win, I would pick the Run Like a Girl display! I finished my first Half Marathon on Thanksgiving morning, so I have only one medal to display, but it is the first of many! I'd like to thank you for your post this summer about your sister's first half, it inspired me to run my first half!! For Christmas, I would love a 13.1 necklace or the roman numeral half necklace!!!! I "like" Gone For a Run on FB! I commented on your Thankful post! I like the Love to Run necklace. Right now I am in love with their race bib coasters! If I won I would either want the gone for a run or the triathlon medal display. Right now I only have one medal but I will be getting some more soon! For Christmas I would want the Bibfolio. I'm not sure which one but that is a pretty cool way to store them! I would love the "Run Like A Girl" medal display! I would definitely love a 13.1 bumper sticker or necklace for Christmas! If I won, I would probably go with the "I Run These Towns" display. I have 10 medals to hang. I just liked their FB page! Oh I just love the Run Like a Girl hanger! I like the water bottles with mini mantras - I ALWAYS need water bottles and those are fun! I'm pretty sure I would love anything from this site but the custom coasters with my first marathon bib would be pretty awesome! I am a FB fan already! I like the Believe hanger! I like the black women's Run Like a Girl tee. and I love their socks too. Even though the colors don't show. I'd like knowing they are there. I love the "I Run These Towns" wall hanger! I'd love to see the Ponytail Performance Hat under my tree this year. I like the Run Like a Girl medal display. I have 19 medals to hang. I'd love to get a Runner Figure Ornament. That or the Go Daddy Go! shirt. That's not so much for me, but for my niece. My older brother is getting back into running and I think it'd be a cute shirt for her to wear! I would love to see the bibfolio under the tree this year! What a great idea! Wall hanger is a great idea... only have 2 but 1 more coming up..
Their Shoe ID is still on my Christmas List! 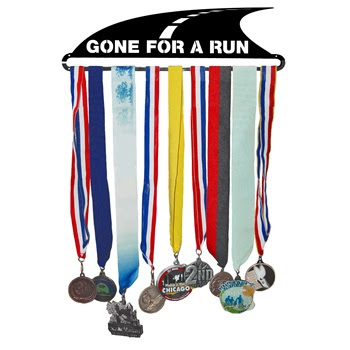 I liked Gone For a Run on facebook! I love the "Believe" and "I run these Towns" hangers. Really cool. I love the bibfolio as a gift. I should really get one for hubby, our basement walls are absolutely plastered now. Not enough room for my stuff. Done! I would get the run like a girl one! Just recently ran my first marathon and cannot wait to display all of my medals! I've also shared this 3x! I would either pick run like a girl or believe if I won, and give it to my best friend. She has made such an amazing journey in her running. This is the perfect way to display it. For Christmas, I would love a running chick performance shirt. I would definitely choose the "I Run These Towns" hanger because it would look fab in my office, though I really like the "Run Like a Girl" saying as well.